Yeah, I can already hear your thoughts from here: “Cheese rolling? Are you kidding me? 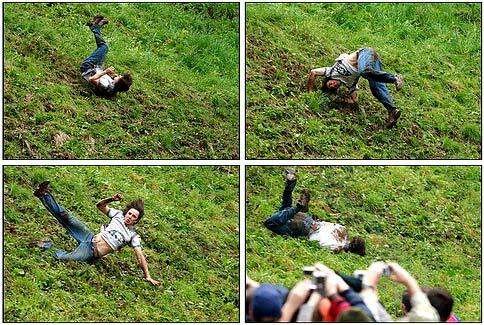 How can cheese rolling be an extreme sport?” Well my friends, I can well understand your skepticism, but only because you haven’t seen the following video yet. Filmed on Monday May 25th, this event took place in Gloucestershire, England, where competitors threw themselves down a ridiculously steep hill in order to be the first to get their hands on a coveted piece of Double Gloucester cheese. Needless to say, cheese rolling is not for the weak of heart, considering the amount of people that leave the event by ambulance.